I found the QUICKEST and most delicious recipe from A Pumpkin and a Princess for Snicker’s Muddy Buddy (or Puppy Chow). Um…AMAZING! So, for this year’s Superbowl Sunday, we are making the same thing with one little twist! 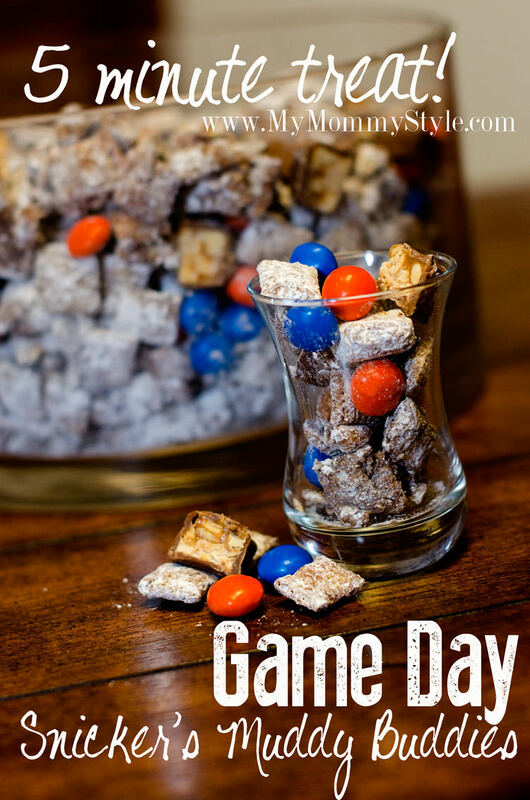 We’re adding in the game day colors in Peanut Butter M&M’s. Cute, fun, delicious and 5 minutes! !